It is true that I see more women than men in my practice, but I can tell you the men I do see, really appreciate the benefits. It takes men so much longer to do something about their health and unfortunately, complementary therapies like reflexology, massage, acupuncture, etc. are considered the only for women. So, what are the barriers? Are they nervous about being in a therapeutic setting? Are they skeptical about how reflexology works? Do they not like their feet touched? Do they think it's only for women? I would say the answer is YES to all of the above! However, every time I have worked on a male client, they quickly relax and forget about any reservations they may have had. I even had one male client tell me that he only wanted me to provide hand reflexology. He absolutely did not want his feet touched. After I coaxed him into a foot session, he laughed after and told me he couldn’t believe how relaxed he felt and ok, he may like his feet touched after all. Why is reflexology such a great treatment for men? Because men experience everything women do – stress, fatigue, muscle pain, anxiousness, depression... This list can go on! Mental health for men is a serious subject. According to the American Psychological Association, 9% of men experience depression or anxiety daily, 30% experience depression in their lifetime, and the suicide rate for men is 4x higher than it is for women. Men don’t cope as well either. They are less like to reach out to friends or family. Reflexology can really help support men’s mental health. It’s amazing when the body can take a break, for even 30 minutes, worries lessen and your mind is strengthened to focus on the everyday goals and challenges that lie ahead. Not only used as a tool for emotional release, reflexology offers many physical benefits as well. Reflexology triggers the parasympathetic nervous system which restores the body to a state of calm and deep relaxation. The body then has space to restore energy to all the systems of the body from the digestive, to the respiratory, to the joints and muscles and everything in between. And let’s not forget about the area that receives support that men tend to neglect the most– their FEET! Reflexology, like with many of my athletic/active female clients, can be so beneficial for men who are also active. Many of my clients have reported faster recovery times, as well as, relief with joint and muscle pains. In between our sessions, I recommend “rolling out” both the feet with a tennis ball and legs with any type of foam roller. So! If you are a man considering reflexology why not give it a try? Or if you have a man in your life who you think could benefit from some chill out time and a chance to re-energize, why not suggest reflexology? Reflexology does no harm and there is nothing to lose from trying it out. I promise that just one session will change his opinion of self-care! I LOVE Reiki and what it can do to help bring calm to my crazy everyday life. I also practice self-Reiki every day. But wait, what is it? One of thebiggest challenges I have had as a Reiki practitioner, has been learning how to explain what the heck it is and how it works to help those that know little or nothing about this amazing modality. 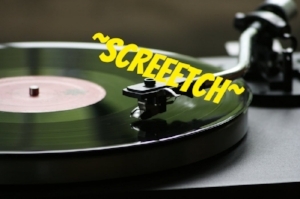 Typically, I just talk on the fly – but let’s see if I can actually put something down that makes sense! The first thing you need to know is how to pronounce it. Simple, right! You’ve got this! Reiki is an energy healing technique that is usually done by placing the hands in a series of positions over or slightly above the body. Reiki can promote healing by activating the body’s own relaxation responses and in turn, help the body to balance itself. Reiki is a tool that can be utilized to tap into the energy that is present both inside and out of our bodies. 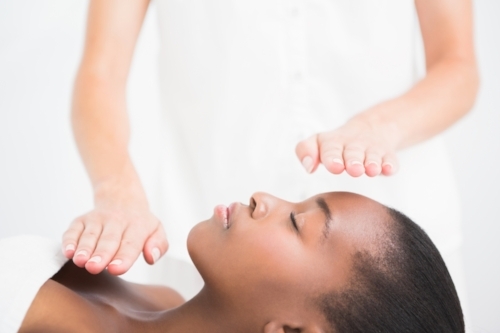 Reiki helps the whole body – mental, physical and emotional. Our brain is one of the most important organs in the body and when we don’t take care of our mental selves, the rest of us suffers. Reiki helps to calm the mind and allow the brain to “relax”. When the brain has the ability to rest it can be ready to go when you jump into your next task. Reiki can help clear that “brain fog” all of us get! Reiki is a great resource for relief of physical pains within the body. Studies(1) have shown that some physical pain conditions have been lessened with Reiki. The body has a way of pulling its own energy to where it is most needed, but in the process depletes the rest and develops a traffic jam of energy congestion. Reiki opens up the body to allow positive energy flow and to rebalance those areas that have become stuck. Now some would say that emotional stress on the body can sometimes be worse than a physical one and I would have to agree. In working with a Reiki client that suffered with domestic abuse for years, she once told me – “the scars will heal, but the words will stay.” It so hard to remember that the saying from our childhood “sticks and stones may break my bones, but names will never hurt me”, is so true. Reiki is a wonderful tool to provide energy to your inner strength and self-confidence. Allowing you to stand up for you and wash the negative energy down the drain. Reiki is only ever used for a higher good and a session is quite simple. You are fully clothed, comfortable, laying down and honestly, can be anywhere in the world! But…I’d rather that you come see me in my office!JI’m available for both in-person and remote sessions. Note: Individual results vary. Reiki is a complementary therapy and is not a substitute for licensed medical care. Reiki practitioners do not diagnose conditions nor do they prescribe or perform medical treatment. Is it Spring Yet? Reflexology Tips to Boost Your Energy During the Last Weeks of Winter. Even though it’s March and it might feel like we are moving towards spring, (at least in Atlanta… today) we aren’t quite out of winter. While the days are getting a little longer, it’s still cold in most parts and it’s easy to feel lethargic. As a certified reflexologist, I help many of my clients with feelings of exhaustion, insomnia, depression and stress during the winter months. Reflexology is a gentle, holistic, complementary therapy that involves treatment by applying pressure to the reflex areas in the feet, hands or ears to induce relaxation, encourage cleansing/detoxing, restore and maintain to the body's self-healing ability. By acting on reflex areas corresponding to all parts of the body, organs and glands, reflexology is a means for treating the whole being, releasing blockages in the vital energy pathways and restoring the free flow of energy. The main aim is to bring balance to the entire being – mind, body and soul – by restoring the natural energy flow. Our low energy levels, particularly in the winter, commonly bring headaches, insomnia and stress (and/or anxiety). Luckily, there are three hand reflexology points you can try anywhere to help give energy a little boost! Point One - Adrenals: Our adrenals work so hard for us, yet our daily lives give them a beating. If you are frequently feeling tired or moody, you may be experiencing adrenal fatigue. You know the term “fight or flight”? Yes! Well, that is one of many responses our adrenals are responsible for and if we are continually in a mode of stress (who isn’t? ), then they need to work double-time. The adrenals can be found in between your thumb and forefinger in the “web” of your hand. 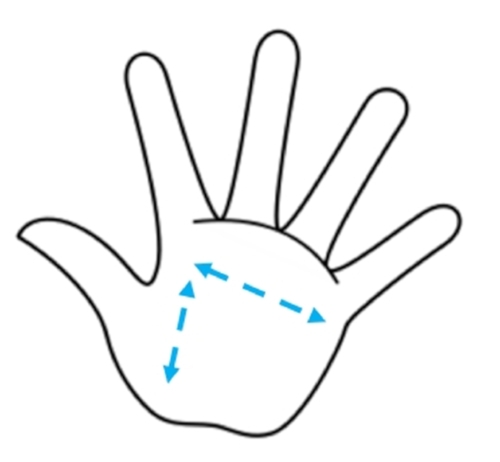 Hold one hand with the other, palm up and press slightly with your opposite thumb. Continue to press lightly and don’t be over-aggressive. Point Two - Solar Plexus: Ok, I love, love, love this reflex point. It’s very easy to find. Again, hold one hand and place your thumb between the 2nd and 3rd fingers, just below your knuckles. Press as you inhale, and release as you exhale. Point Three - Diaphragm: Take a deep breath! Let’s relax your diaphragm. Using a comfortable pressure with your thumb of the opposite hand, “walk” across and down your hand, feeling for any sore spots underneath your thumbs. Remember to take deep breaths as you work through your hand. Refer to the diagram on the right. What I love about these energy boosting helper areas is how easy the points are to find and how quickly you should notice some relief! But, be kind to yourself and don’t expect miracles. It took you a while to get to where you are feeling this way, it will take a minute to get you back going again. If you are based in the Atlanta area and would like to book a full energy boosting reflexology session or if you just have general reflexology questions, email me! *Do not practice these tips if you are pregnant. Reflexology is not a substitute for medical treatment, but is a complement to most types of therapy. Everything is coming up Roses! Whether you’re in the mood for romance or are just practicing self-care this Valentine’s Day, this essential oil is my favorite for celebrating the holiday of LOVE! Whenever I think of love or romance, my mind instantly wanders to ROSES. Of course, there are plenty of other amazing florals out there, but I just love the simplicity of rose (absolute) and its beautiful benefits. Rose helps to bring balance to the mind, body and spirit. This versatile flower just can’t help itself to bring love to all aspects of your life. If you’re mending your heart this Valentine’s Day, don’t give up on Rose just yet! Emotionally and energetically, it can soothe anger and help facilitate the action of release. With its relaxing and uplifting qualities, this oil is truly magical - harmonizing yin and yang all in one little drop. My In Love blend is made from essential oil of Rose absolute (rose damascene), Grapefruit (rose) (citrus paradisi), Clary Sage (salvia sclarea), and Sandalwood (santalum album). Pair this blend with jojoba oil (in a 10 ml rollerball) and you are ready for a date with your sweetie. Or put a few drops in your favorite diffuser, pour a glass of wine, grab your favorite book and you a ready for a few hours of self-love. If you are interested in trying In Love, email me! Or, play with the oils yourself to build an aroma that will melt your heart: just remember to keep it to 12-15 drops to be safe. Don’t forget to drop me a note with your blend so I can try it out! Happy Valentine’s day!